Washington, DC--July 2002. 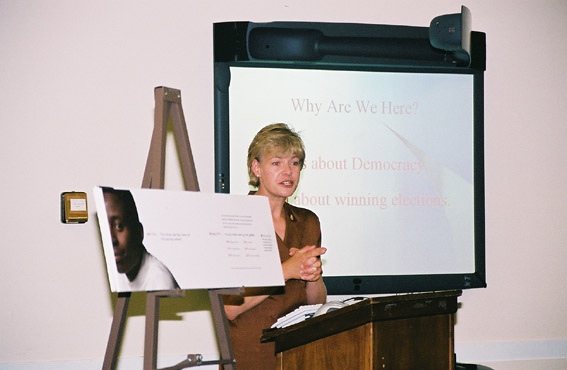 Former Congressman David Skaggs, Congresswoman Tammy Baldwin, and Congressman Adam Putnam (not shown) were among those speaking at the launch of the Campaign for Young Voters' 2002 Candidate Toolkit "30 Million Missing Voters." The effort seeks to address the problem of low voter turnout among young people not by exhorting young people, but from the other side of the equation, that is by convincing candidates that young people will vote if approached in the right manner. 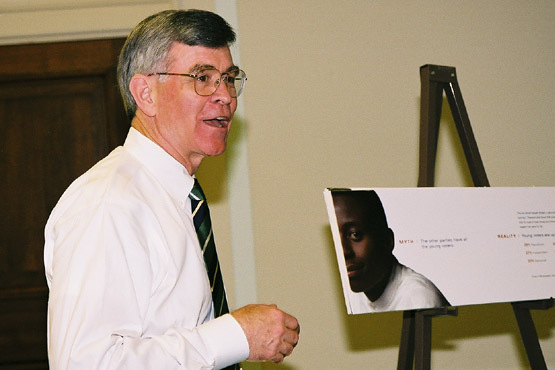 The Campaign is a project of the Center for Democracy & Citizenship, part of the Council for Excellence in Government, and is funded largely by Pew. Five cities will be evaluated.